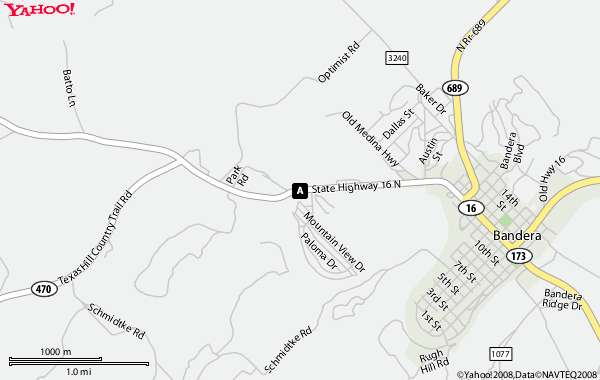 We are located at 2656 Hwy 16 N,less than five minutes from main street Bandera. From Boerne take Hwy 46 W, turn right on Hwy 16,to Bandera, turn right on main street (Hwy 16N),continue two miles,we are located on the right. are located on the right.